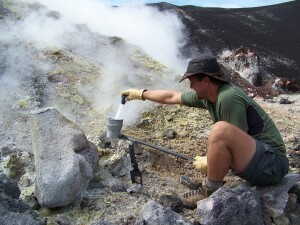 Astrobiology is a scientific discipline that studies the phenomenon of life and its relation to the physical universe. Astrobiologists study how life came to exist on Earth, and whether life exists, or was present in the past, elsewhere in our solar system. Astrobiology is multidisciplinary and LASP scientists collaborate on research projects with colleagues in several university departments, including geologic sciences, biology, atmospheric sciences, philosophy, and chemistry. Graduate and undergraduate students participate in these and other astrobiology-related research projects. LASP also hosts the CU Center for Astrobiology, which coordinates astrobiology research and education across the university.